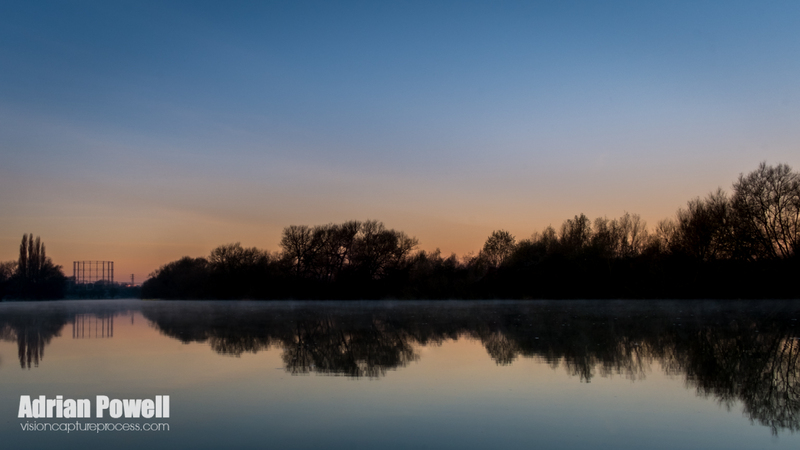 The Thames at Sunrise – and the coldest so far this year! It was -7ºC this morning when I was driving to the station – I doubt it had changed much from that by the time I got here by the side of the River Thames near Reading, Berkshire. Another superb sunrise and a little mist over the water (though not so evident here) – using a tripod here to give a slightly longer exposure, smoothing out most of the ripples (not that there was much, there was almost no wind at all) – beautiful reflections!